You are currently browsing the tag archive for the ‘NY wine industry’ tag. Wine consumers in New York should be aware of what is happening in Albany right now that could greatly affect the cost and choices of the wines they can drink. The legislation is called ‘At-Rest’ and it means that wine needs to be warehoused in New York state at least one day prior to sale to restaurants and retailers. The problem is that all mid- and small-size distributors warehouse their wine in New Jersey, which is closer to the port where wine arrives from abroad. Only the two largest distributors, Southern and Empire warehouse in state, and so no surprise, they are the ones pushing hard for this bill. In fact, they have collectively donated more than $500,000 to Governor Cuomo and Senator Jeff Klein (and a few others up north) to get this nonsense passed. Why? Because they want to crush the competition, and they will do so by any means in order to increase their own profits. This is a bill that solves nothing but could be detrimental to many. Not only will many of the smaller guys potentially go out of business (my company included), but consumers can expect far fewer choices at much higher prices, as much as $7 a bottle! It has all the makings of a fairy tale, in which a big bad wolf with sharp fangs preys on innocent grandmothers, but it is indeed a very real threat. So what can you do to bring about a happier ending? 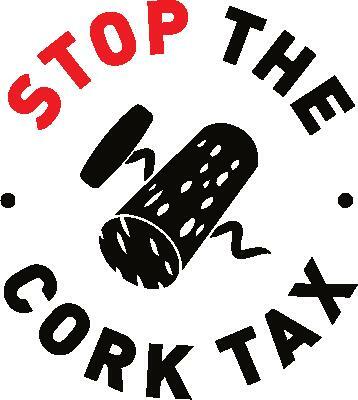 Go to Stop the Cork Tax and tell Albany to put ‘At-Rest’ to rest, for good.